With over 35 years in the industry, we are uniquely qualified to service all of your pool and spa needs. We are pool and spa experts. Todd Harris Company (THC) was founded in 1975 by Todd Harris Applebaum. With one truck, a home office and a dream, Todd Harris Applebaum transformed THC into a family operated business with over 40 employees and a fleet of vehicles servicing hundreds of accounts in the Tri-state area. Today, THC offers a variety of aquatic services, products, renovations, repairs, sauna and steam work. We are dedicated to professionally performing all of your needs, making THC your first choice to call. With over 35 years in the industry we believe we are uniquely qualified to service all of your needs. 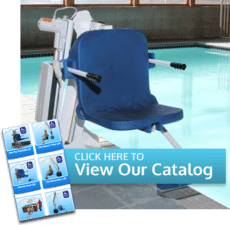 Todd Harris Company offers a variety of ADA pool and spa lifts for your total solution for pool and spa access. Todd Harris Company offers a variety of aquatic services, products, renovations, repairs, sauna and steam work. We are dedicated to professionally performing all of your needs, making us your first choice to call. © 2019 . Todd Harris Inc. All rights reserved.